We’ve extended the PPS Finder across to HP ProLiant. 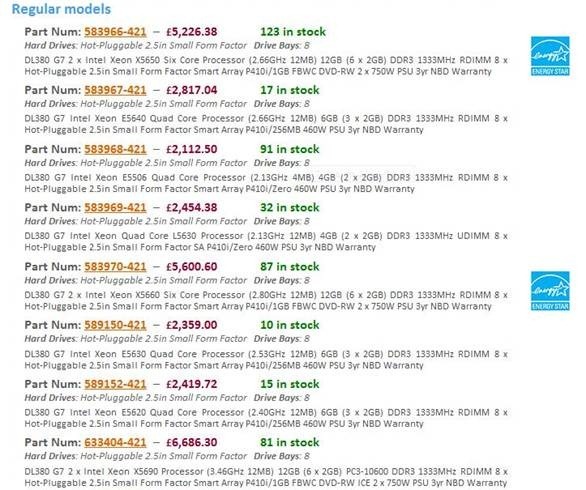 If you know what specification you want (technology, price, in stock etc.) but are not sure of the best fit HP ProLiant server range then the HP iQuote ProLiant Finder is for you ! Simply use the filters on the left to reduce the number of systems to less than about 50 and the appropriate products will display in the right hand pane. You see a graphic plus a short spec table. Once you’ve chosen your perfect ProLiant simply click to load in HP iQuote. As always we welcome your feedback to help us improve – use the feedback form. 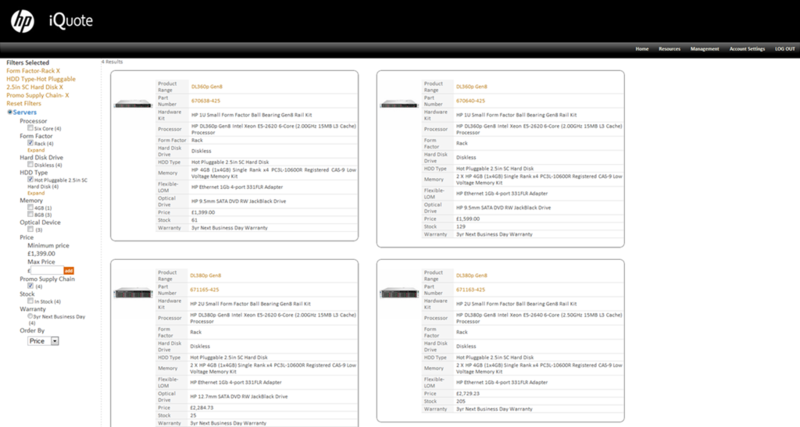 and there’s more in production including the HP ProLiant DL380e Gen8, BL465 Gen 8 and DL385p Gen 8. For each of these new Ranges we’ll follow up with a more detailed Blog article. HP Thin Clients: following a number of requests to include HP’s range of Thin Clients in HP iQuote this is happening. We should see a number of models appearing in early July for the UK initially. Not complex to configure but feedback was to allow HP iQuote users a single location to generate quotations and there is potential in the future to include in tools like Product Finder. We’re always happy to receive feedback from our HP iQuote Users simply use the Feedback Form. There is a NEW entry in the Spec Table called Management and this will tell you the iLO version plus whether Insight Control is included or not. If not you can simply link from the Spec Table to supported options. We’ve added Validation to iLO. If Insight Control is not included, but there is an iLO you get a Blue Warning. Click on that and again you can link to the supported options. Once added the Blue Warning turns Green. 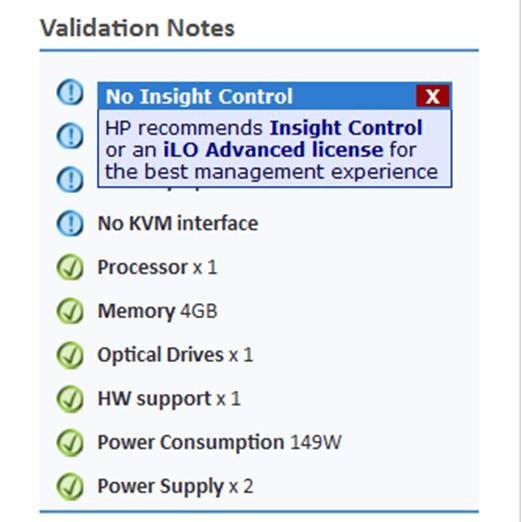 If the system ships with Insight Control the Validation Notes item is Green anyway. Customers that deploy HP ProLiant’s Management Tools are far more likely to continue to purchase HP ProLiant servers, which are mostly sold via the Channel so that’s good. This helps boost your revenue and margin plus you can wrap services around iLO and Insight Control. Also if you manage your customer’s networks, have iLO Advanced or Insight Control on the server can save you time and money by eliminating site visits and enabling more complete remote management. From May to July 2011 channelcentral.net (together with HP) will be running an incentive in iQuote for European HP Channel Partners called Golden Ticket. iQuote Users can win prizes but only if they use iQuote to quote HP ProLiant Servers and HP Qualified Options. Good luck from the iQuote Team here at channelcentral.net. New HP Top Value “Book Pricing” is now live. At the start of April HP introduced Avalanche Options into Top Value and this is now available in iQuote. The way Avalanche works is that the more options you add the more you save. Avalanche qualifying options are highlighted in iQuote so you can select them easily and then they are displayed in the basket with a red star so you can flex up to get more discount. The rebate is calculated as soon as you reach the entry threshold and then that is dynamic increased as you add more qualifying options. If you have any feedback on this new iQuote feature please use the Feedback Form in iQuote. We believe Avalanche Options is a brilliant solution to offering customers flexible bundle pricing. Note: HP Max Qty has been removed from iQuote. Any saved quotes that are re-opened will revert to Avalanche Options pricing.